A.P. – As a reader, I read them here & there growing up, but it wasn’t until I was about fifteen that I got into them both to read & to want a career in. I drew all the time in high school, took a year off afterward, then went to animation school. When that school stopped teaching its curriculum half way through the year, I got soured toward the whole art community & switched to writing comics & books. 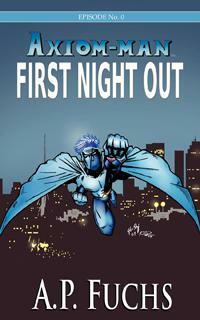 I launched my company, Coscom Entertainment, in 2004 & published a couple of graphic novels through the imprint - not my own material - & one Axiom-man comic written by me & drawn by another. It wasn’t until 2007 that I started seriously thinking about getting into comics again in terms of putting out stuff written & drawn by myself &, finally, 2011 is when I started publishing comics more regularly. I’m still not publishing as often as I would like though & plan on rectifying that this year. The price I pay for being a novelist & running two publishing imprints at the same time. Really regret abandoning it for a while, however. Real dumb move. A.P. – My mom bought me a Quasar issue when I was a kid. I don’t have it anymore, but I still remember certain parts. In terms of my own money, I might have gotten something when I was young, but I do know that when I started collecting when I was fifteen it was Nightwing #1 & DC’s The Final Night #1. A.P. 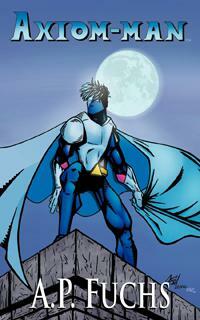 – Twenty-seven for Axiom-man: Of Magic & Men, but I didn’t draw that one. I was thirty when Canister X No. 1 came out. 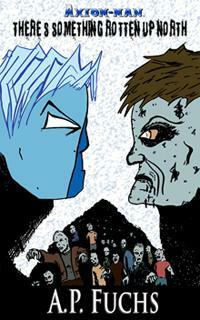 I did produce a full comic back in my high school drawing days, but it was never published. Still have it somewhere. A.P. – I’d say the ‘90s solely because there was the black-&-white boom & the Image boom. Sure, not all of it was great - I mean, the stories were backseat with the art being the big deal at the time - but some good stuff came out of it (Jeff Smith, Terry Moore, etc.). Further, it was cool that people published pretty much anything, which meant the reader could decide what they liked even if not everyone agreed. Sort of a readers’ buffet, something that doesn’t exist anymore. A.P. – That’s the thing, though: I do both, that is, I’m also a novelist. But for me, comics hold a special place since I’ve always been a superhero fan & superheroes originated in the comic world, at least the ones that we know nowadays. Comics is a medium where anything can happen, & because you’re also playing with visuals aside from narrative, you can achieve layers of storytelling you can’t get in novels alone. Readers can take in comics quickly, slowly, mix it up - anyway they want, really, & how they take it in changes how they experience the story. A friend of mine reads the comics then goes back & just looks at the art. He gets the story two ways that way. Reading books - you can read slowly, but it’s all very linear & very paced out as a result, therefore limiting even your imagination. Same with movies where you’re told what to see, when to see it, when to hear it, what mood to feel thanks to the music - with comics, each panel is a window into a different world & you can hang around there as long as you want without being prompted to get out & move to the next panel unless you let yourself. A.P. 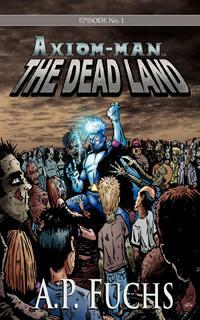 – Minis or indie comics & mainstream are all the same in that they’re comics. The issue is audience size, but even then that can be argued because, for example, when Cerebus, an indie publication, was at its peak, Dave Sim had some 30,000 monthly readers, certainly a number high enough to be considered mainstream. I’m not really a fan of the divide between the “indie world” & the “mainstream world.” There are parties on both sides that strive to keep the walls up between the two, but in reality it’s all comics. Does volume of readers really matter? Why is that a measuring point? 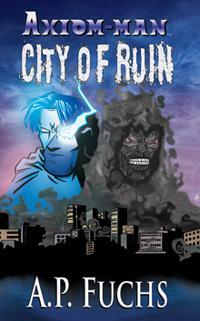 Yes, indie comics &/or mini comics can be bridge to the mainstream. I’ve already mentioned their names, but will do so again: Jeff Smith & Terry Moore. Jeff still self-publishes, but he also has taken Bone mainstream with Scholastic. Terry does work-for-hire for Marvel now & then, while still doing his own thing via his Abstract Studio imprint. A.P. – For Axiom-man: Of Magic & Men, I think it was 50. Canister X No. 1 was 100. Axiom-man No. 1 was 300, I think. A.P. 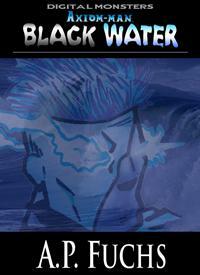 – Depends on page count, but for 20 pgs black & white, a couple bucks (though no one charges this). For full color, $3 tops. Unfortunately, printing costs don’t allow for this unless your print run is super high so we’re stuck with $3 or so for black & white & $4-plus for color. It’s too bad. I understand how time-consuming comics are to make, I really do. Just wish there was a better way, but unfortunately there’s not. Not yet, anyway. However, the digital market makes it easier to lower the price because aside from the artist’s time creating the book, there’s no overhead printing-wise. A.P. – Right now two or three. That’s comics, so not including my novels, which varies from two to four on top of that. I’d like to do a monthly comic, or at least six forty-page issues of Axiom-man & six twenty-to-twenty-four-page issues of Canister X a year. Trying to free up my schedule so I can do that. A.P. – It depends. For the sake of market presence you need serialization, doing it monthly or, say, every six weeks. If creators could get two or three graphic novels out a year, then that would be okay, too, but they’d have to stay in front of readers’ faces between books via marketing efforts. & doing two or three graphic novels a year isn’t far fetched either. I mean, a page a day. If you’re graphic novels are 100-120 pages, you can do three no problem. You just need the work ethic & treat it as a job even if it’s not your main source of income. What you put in is what you get out, you know? A.P. – Strips are shorter, usually with a punchline after three or four panels. Comic books are longer stories with more panel variation presentation-wise. I prefer comic books as I can get more into them than just strips. Then there’s graphic novels, which goes beyond just collecting a bunch of comic books & calling it one. Graphic novels as a medium is the epitome, to me. A.P. 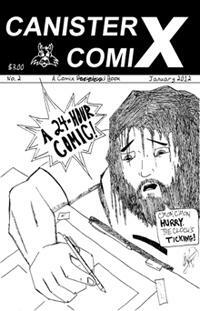 – When I decided it’s time for a new issue & work properly - & it’s not a 24-hour comic - then about a month. QRD – What do you do better with your comics now than when you first started? A.P. – Putting more detail into the panels & sticking to my own voice. QRD – Do you do thumbnails? A.P. – Sort of. I write my scripts as terribly drawn comic panels with stick figures in notebooks. That way I can write my story at around the same pace I do a novel. When I go back to draw the comic for real, I understand my own gibberish & crude panels so know what I meant & finish fleshing it out on the drawing board. QRD – At what size do you draw? A.P. – For Canister X, 8.5” x 11” as the final print size is digest size. For Axiom-man, it’s on 11” x 17” Bristol board with a 10” x 15” live area. QRD – What kind of pens do you use? A.P. – All kinds. Sharpies, Bics (no, really), fat permanent markers, micron, marvy 1122 le plume 2, some sort of roller grip pen. Whatever works, really. QRD – What does your workstation look like? A.P. – A mess. Well, not really. It’s your basic drawing board with my page taped onto it, a lamp hanging over it, & a lettering chart I made that shows the size I need to letter at in order for it to be the right size once reduced & printed. I also tape on my notebook open to the sketch page so I know what I’m drawing. It keeps falling down but since I’m such an archive/collector kind of guy, I’m too chicken to rip the pages out & tape those down instead. On the side of the drawing desk are some shelves with notebooks & odds & ends. Nothing fancy. A.P. – Scanning. Put it into the computer & then clean up all the stray bits that wound up on the page from either erasing, my dirty fingers, mistakes that were whited out then inked over, smears, etc. A.P. 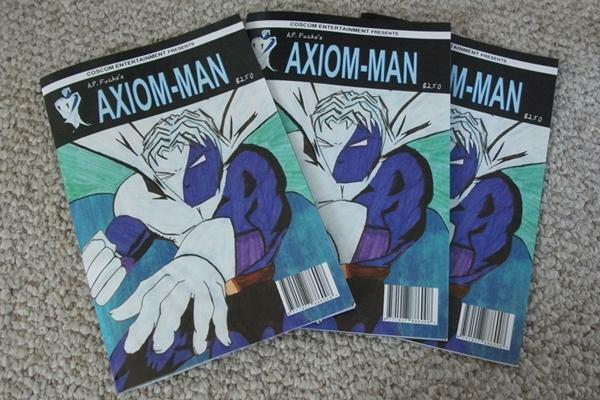 – Axiom-man is a webcomic & I’m using it as an entry point for readers/a means of advertising a character not everyone has heard of. No risk to the reader that way. 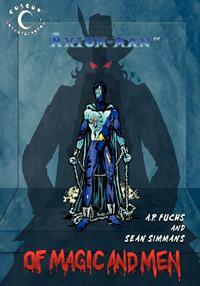 The comic isn’t solely web, though, as I do publish digital & print versions of Axiom-man as well. Same with Canister X, though for that one I don’t do a webcomic. I do post the occasional short story from it, though, over at my blog. Digital comics, that is, monthly comics but just digital, I think, will replace the normal floppies as the serial version of the work, but ultimately print graphic novels will be king. A.P. – Black & white. Without sounding pretentious, there’s something organic & honest about it. It also forces you to show your best work because you can’t hide your lines or mistakes with a bunch of flashy gradients or color effects. Some would argue the coloring is part of the art, too; but in the age of digital coloring, it’s easy to mask your work with effects. A.P. – Don’t think there’s a set amount. In the mainstream, it takes seven people or more - see the credits page of any DC comic - which is also why I think corporate comics are in such dire straits right now. In the end, isn’t one person all you need? Someone who treats each page as a piece of art & does all the tasks involved in creating it? A.P. 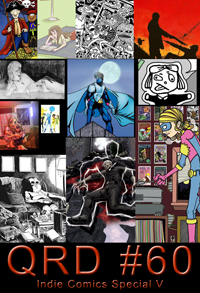 – I used to post on Digital Webbing years & years ago, but now it’s just me so I collaborate with myself. I don’t have to go far to find me if I need me. Usually. A.P. 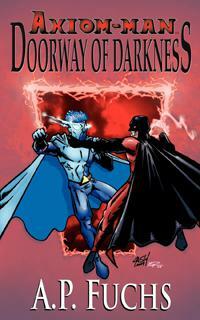 – Depends on whose vision the comic is, which is something I think the artist & writer need to work out ahead of time. Once decided, then the final script would reflect that even if they decide the book will be a true fifty-fifty split. A.P. – Dave Sim or Alan Moore. A.P. – This is a loaded question, actually, so I’ll summarize it by simply saying that back when I started, it was in the “Oh, that’s nice,” category. Nowadays, I know I’m supported in terms of using my art as a career, but I really don’t know what they think of my work. They’ve bought some of it, but there isn’t much feedback. My wife & kids think it’s cool, though. The kids have already started drawing their own comics & stapling them together in books. A.P. – Love them. Lifelong fan. In fact, every single story I tell is somehow a superhero story; even the novels I’ve written that don’t blatantly have guys in tights. I’m practically obsessed with them. A.P. – Superman or Batman, I think. A.P. – Already am. The idea of working for a mainstream house doesn’t appeal to me as I’m not a fan of corporations, & after hearing the horror stories that have recently made the news about comic creators leaving certain major companies - yeah, I’m fine with where I’m at. I wouldn’t turn down a gig if it was offered to me, but it’s not an aspiration of mine. I’m happy just doing my own thing. A.P. – Central Canada Comic Con (www.c4con.com). It’s local, it’s pretty big, & I do well there sales-wise as I get a lot of support from my hometown. That’s a priority show for me. They also have a smaller show, which I’ll be doing in a couple weeks as well. I would love to attend APE or SPX, however. One day, hopefully sooner rather than later. A.P. – Do comic shops still sell comics? Seems they’re over half toys & card games now. Okay, bad joke, but I think Axiom-man would work just fine in a mainstream shop. Canister X would have to be in a zine &/or minicomics section. 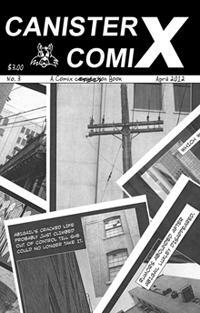 Sadly, most of the mainstream comic readership doesn’t know what a minicomic or zine is. It’d be great if all comic shops had an indie rack for those kinds of publications. A.P. – Film, definitely. There’s an indie filmmaker I know who’s been bugging me to lend him my Axiom-man costume so he can film a book trailer for The Axiom-man Saga. I’d really like to see a live action movie with Axiom-man though, whether something for the mainstream or even just for the direct market. I’m also hoping someone will knock on my door & do a documentary about me, that is, my work & what it’s like to be a fulltime writer & artist, the ups & downs, the work schedule, etc. A.P. – Definitely both, same with books, which is why I don’t have an eReader. If I just read & that was it, I’d have one in a heartbeat. But I need actual books & comics because I love being surrounded by them. Having long boxes lying around, graphic novels on the shelves - love it. A.P. – Only one: the internet. How a person accesses it ten years from now remains to be seen, but digital comics & print-on-demand paperbacks will be the norm, I think. 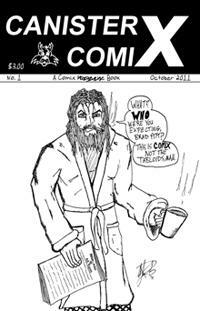 If anything, print comics will be more “special edition” & digital comics will be the mass market. Same with books. A.P. 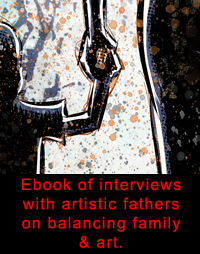 – Making more of an effort to get their books out there, namely independent cartoonists. Most just want to draw, but the reality is you need to spend half your time drawing, the other half doing business stuff. Even more than half your time doing business stuff. That’s talking from experience & that’s if you want to succeed. Sounds arrogant & I don’t mean it that way, but coming from the school of hard knocks, I know what I’m talking about. Your audience won’t come to you. You need to find them, show them your stuff, & keep them. A.P. – Please, everyone, support indie comic creators & indie book writers. If you read something of theirs, write a review on Amazon, like their product so it shows up on your Facebook page, tweet about them & help spread the word. The issue isn’t about the money - though that helps the artist to keep producing in a timely manner - but your support goes a long way in spreading the word about the independent publishing world & the titles available. Most of us are one-man bands. We can’t do it alone & compete with the marketing machines of big corporations who tell you what to buy. Thanks in advance if you step up.